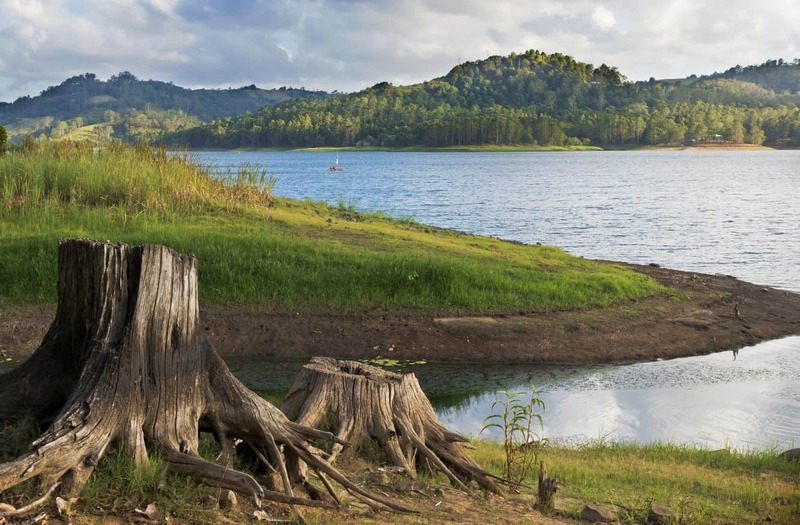 Lake Baroon is located between Montville and Maleny in the Sunshine Coast Hinterland. 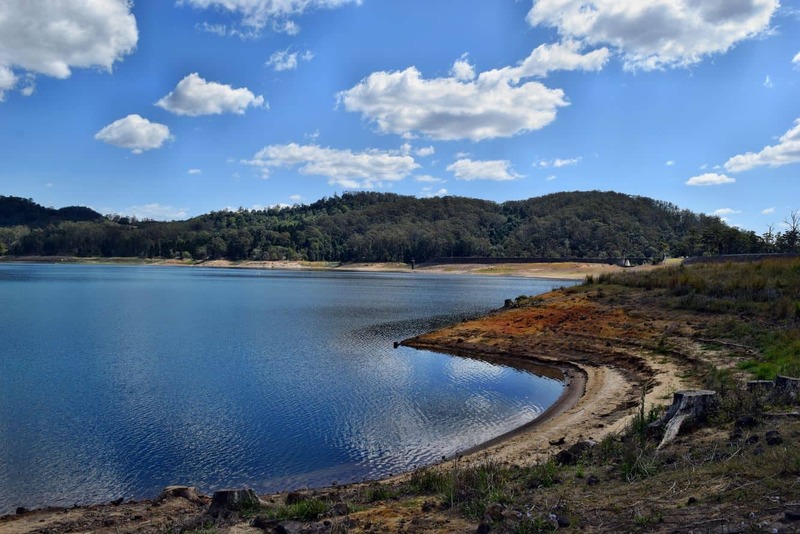 The lake is one of twenty-six dams that the Seqwater manages, and is used to provide drinking water to Queensland residents. The dam has a length of 370 meters and a surface area of 380 hectares. The lake, which holds 61,000 mega-litres of water at full capacity, provides various outdoor recreation facilities for visitors to the lake. Activities enjoyed at the lake include swimming, boating and fishing. Swimming is permitted at the designated swimming areas at the Northern Recreation Area (Narrows Road, Montville) and the Southern Recreation Area (Baroon Pocket Road, Maleny). Please note however that there are no lifeguards on patrol. Non-motorised watercraft are permitted on the lake, so you will often find people sailing and paddling across the lake. There are designated launch points at the Northern and Southern Recreation Areas. Ramps are open 7 days a week from 6am-6pm. Boating permits are not currently required at Lake Baroon. Those looking to go fishing can fish from along the shoreline at the Northern and Southern Recreation Areas or from your non-motorised boat or paddle craft. 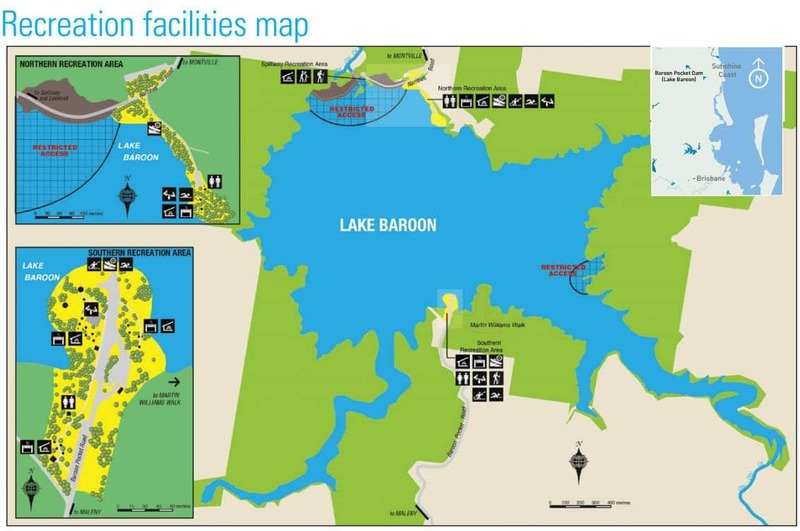 A fishing permit is not required at Lake Baroon. 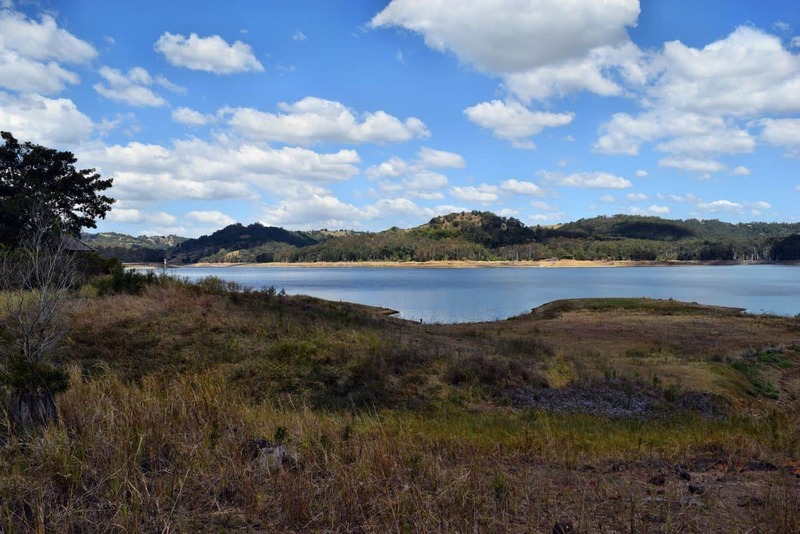 If you would like to come for a picnic, there are picnic areas around the lake including the Northern and Southern Recreation Areas as well as the Spillway Lookout Recreation Area. You will find a playground, picnic tables, shelters and free BBQ facilities. Please note that domestic pets and camping is not permitted at Lake Baroon.